Sports facilities, health clubs and fitness facilities are starting to show more personality and flooring is now playing a key role in their overall appeal to users. Creating a truly unique look is becoming a bigger priority and as the catalogue of products on the market continues to develop, consumers will be faced with more options than ever before, which makes a bespoke look much more accessible to a host of clients. It’s a fact that floor surfaces are a major visual element in most facilities and will have a significant impact on the internal environment for the user. The use of bespoke logos and water cutting on flooring design also creates brand awareness and re-enforces the sales or corporate message. International flooring and interiors specialist Gerflor are at the very forefront of R&D when it comes to supplying the manufacturing support and products to enable this bespoke look and feel for a wide range of their clients and installers. With Gerflor’s unique My Taralay service customers can choose from 150 colours which provides more than an incredible 400,000 combinations. This unique system allows a customer to select a design from 4 stunning Taralay designs, then selecting a colour from a palette of 150 colours, which in turn provides this huge range of combinations. It’s the ideal way to visualise a project and provides the perfect platform to show clients the ‘look’ before ordering. 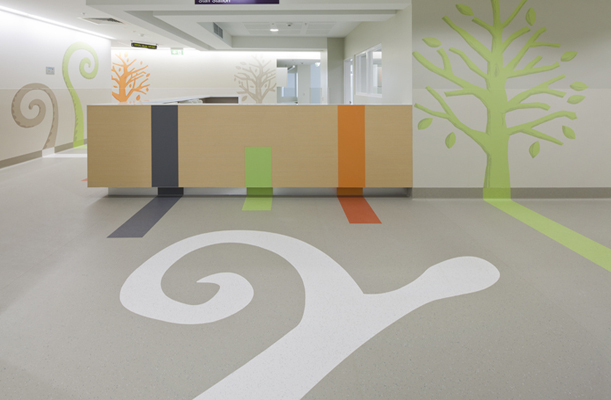 The other added benefit with the Gerflor systems is that by water jet cutting Gerflor can create bespoke designs and logos which further enhances the choices for designers and specifiers. It’s a real boon when a facility wants to customise its ‘look’. It is available in various solutions meeting different levels of the EN 14904 Standard delivering the full scope of indoor sports surfaces from P1 to P3 shock absorption solutions. Taraflex® is recognised for providing durability, safety and comfort without impairing performance. A unique value proposition, the Comfort range offers greater than 45% force reduction, making it unrivalled in the marketplace in terms of offering comfort for users lowing the risk of long term injuries. Taraflex® meets the EN Standard of 22196 for anti-bacterial activity (E. coli – S. aureus – MRSA) (3) returning >99% levels of growth inhibition. The product is also treated with Protecsol®, which renders polish redundant and is triple action meaning no polish is ever required, it’s easy to maintain and is anti-friction burn and slide/grip. Taraflex® has a double density foam backing and with another bonus, it’s environmentally friendly. The icing on the cake with this installation however was a 4m² community centre logo designed by a local child and created specially by Gerflor from nine different colours and inlaid in the centre of the main hall. Jeanette Wood added,” the logo looks fantastic and really helps to bring the main hall alive”.